Ideal for flea market sellers discount stores, freebies, party favors. 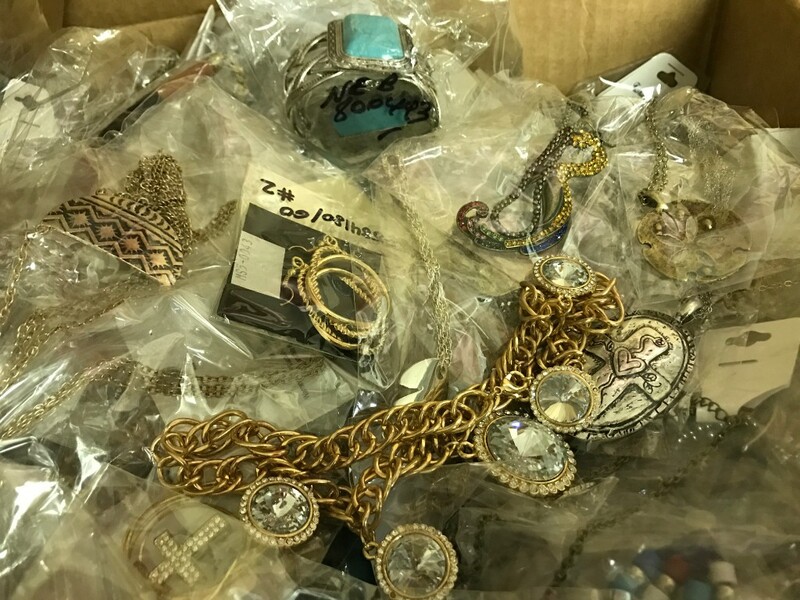 This is a mixed lot of fashion jewelry sold by the pound. In this lot you may find necklaces, rings, bracelets, and other kinds of jewelry. You may be able to sell these for a few dollars or so. High profits as your cost per piece is lower than buying jewelry by the dozen at a wholesaler. This product may contain a small amount of tangled jewelry. This product may contain 2% broken jewelry.